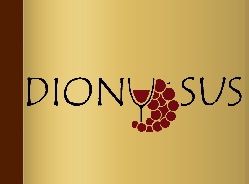 PRESS RELEASE: Florida International University, Southern Wine and Spirits of America, and the South Beach Wine and Food Festival announce DIONYSUS scientific meeting on drinking. MIAMI, FL (January 7, 2009, 10:00 A.M. EST) Florida International University, Southern Wine and Spirits of America, and the South Beach Wine and Food Festival are proud to announce their sponsorship of DIONYSUS, a scientific meeting devoted to health and social issues associated with drinking. 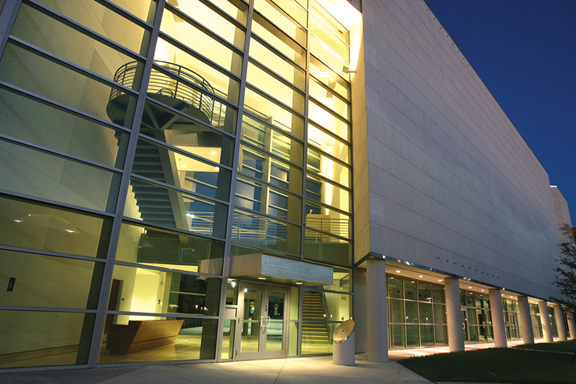 DIONYSUS is an acronym for “Drinking: Issues, Opinions, News, Youth, Surveillance, Under-the-influence, & Society.” This invitation-only scientific meeting is taking place on Thursday, February 19, 2009, at the Kovens Convention Center on FIU’s Biscayne Bay Campus. Prominent scientists from around the country will convene to discuss drinking matters that really matter. DIONYSUS’ 2009 topics include: (1) Responsible Drinking: What is it & who is responsible? (2) Why, where, when, and how drinking leads us to do things we wouldn't ordinarily do. (3) Adolescent drinkers: Addressing underage drinking in a drinking society; and, (4) Drinking benefits and harm: Separating myth from reality. · Eric F. Wagner, Ph.D., Professor, Stempel College of Public Health and Social Work at Florida International University, and Director, Community-Based Intervention Research Group. · Ana Balsa, Ph.D., Health Economist & Research Assistant Professor, Health Economics Research Group, Department of Sociology, University of Miami. · Michie Hesselbrock, MSW, Ph.D., Zachs Professor and Director, Doctoral Program, School of Social Work at the University of Connecticut. · Victor M. Hesselbrock, MSW, Ph.D., Physicians' Health Services endowed chair in Addiction at the University of Connecticut, Scientific Director, UConn Alcohol Research Center. · James Jaccard, Ph.D., Professor of Psychology, Florida International University. · Mitchell Karno, Ph.D.,Associate Research Psychologist, University of California, Los Angeles’ Department of Psychiatry and Director of Alcohol Studies. · Alan R. Lang, Ph.D., R. Robert von Brüning Professor of Psychology at Florida State University. · Valerie Knopik, Ph.D., Assistant Professor, Center for Alcohol and Addiction Studies, Department of Community Health at Brown University. · Christina Lee, Ph.D., Assistant Professor of Research, Center for Alcohol and Addiction Studies, Department of Community Health at Brown University. · Christopher Martin, Ph.D., Associate Professor of Psychiatry and Psychology at the Western Psychiatric Institute and Clinic at the University of Pittsburgh. · Peter Monti, Ph.D., Donald G. Millar Distinguished Professor of Alcohol and Addiction Studies, Director of the Center for Alcohol and Addiction Studies at Brown University, Senior Career Research Scientist for the Department of Veterans Affairs, and current President of the Research Society on Alcoholism. · Sara Jo Nixon, Ph.D., Professor in the Division of Addictions Medicine within the Department of Psychiatry at the University of Florida, and Director, Neurocognitive Laboratory. · Tibor Palfai, Ph.D, Associate Professor of Psychology at Boston University. · Michael Sayette, Ph.D., Professor of Psychology and Psychiatry at the University of Pittsburgh, and Director, Alcohol and Smoking Research Laboratory. · Mark B. Sobell, Ph.D., Professor at the Center for Psychological Studies at Nova Southeastern University. · Anthony Spirito, Ph.D., Professor of Psychiatry and Human Behavior, Director of the Brown Clinical Psychology Training Consortium, and Associate Director of the Center for Alcohol and Addictions Studies at the Warren Alpert Medical School of Brown University. · Michael Stein, M.D., Professor of Medicine & Community Health at Brown University Medical School, and Director of Research and Director of Training Fellowships, Department of General Internal Medicine, Brown University Medical School. · Holly Waldron, Ph.D., Senior Scientist at the Oregon Research Institute. · Tamara L. Wall, Ph.D., Associate Chief of the Psychology Service and Director of Psychological Services for the Alcohol and Drug Treatment Program at the Veterans Affairs San Diego Healthcare System, University of California at San Diego.